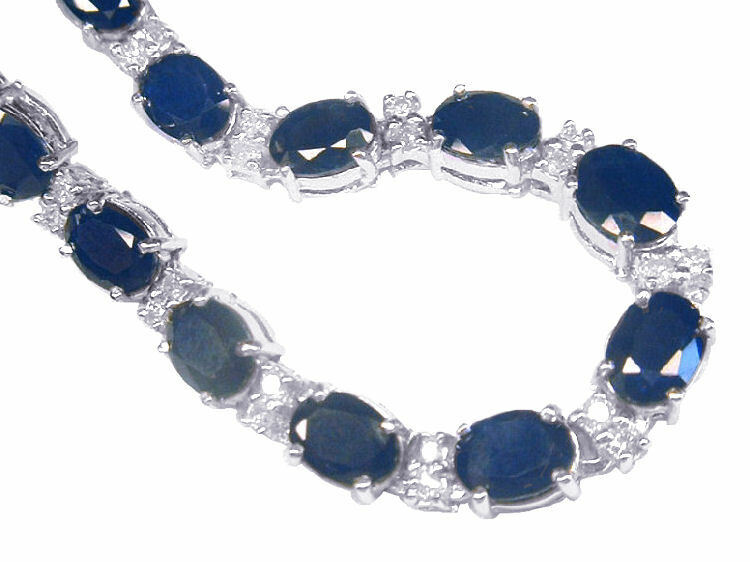 This luxurious sapphire and diamond necklace is beautifully crafted in bright polished 14K white gold and consists of 41 links, one of which is a drop oval link in the centre. 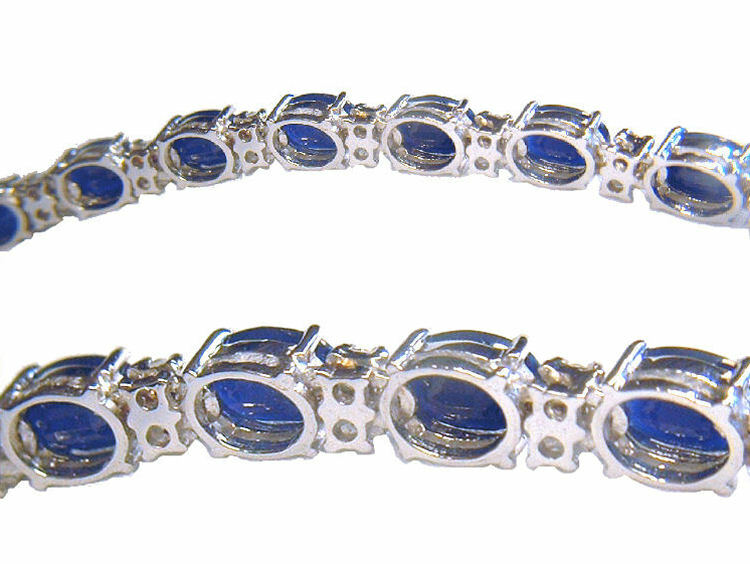 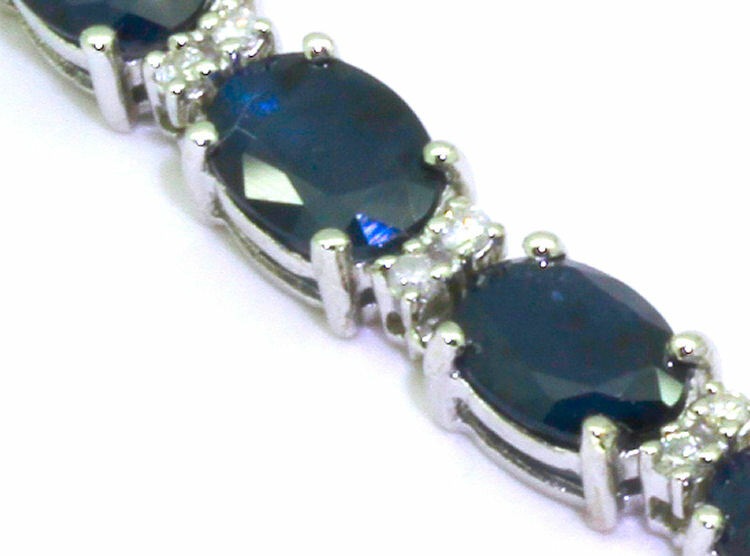 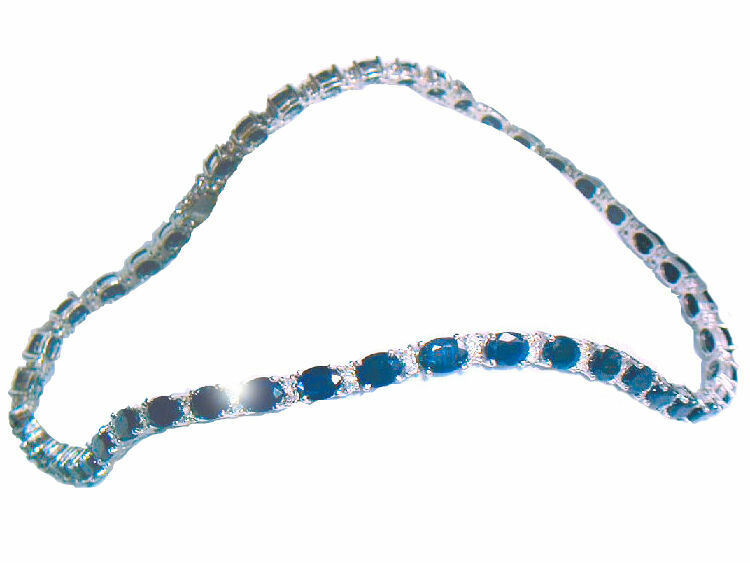 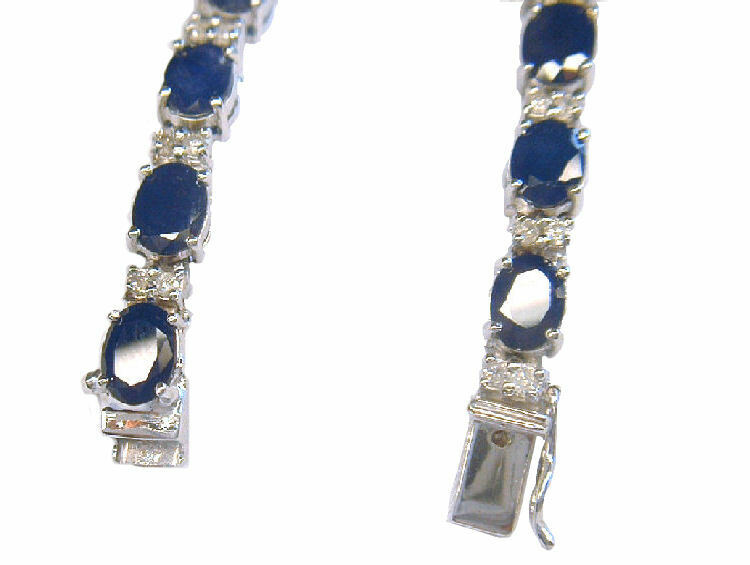 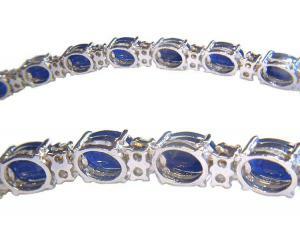 Each link is set with a 7.00mm x 5.00mm blue oval sapphire with two round brilliant diamonds (1.50mm diameter each) set to one end. 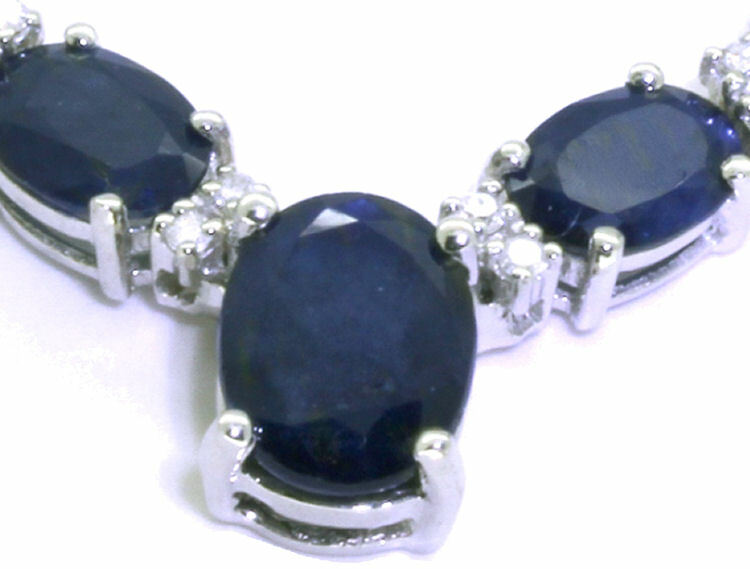 The sapphire total weight is 35.00 carats and the diamonds have a total weight of 2.00 carats with I1/I2 clarity and I/J colour. The necklace has a total weight of 32.50 grams and is completed with a fish hook necklace. 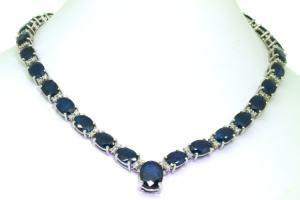 An independent jeweller's certificate is provided with this necklace, with a valuation of £6,265.